Las Trampas Regional Wilderness is a huge tract of natural lands that is spread over 5,342 acres. Hikers can explore the less beaten paths through a well-developed system of trails that runs into the more remote and rugged areas of the park. Las Trampas Regional Wilderness is large enough for hikers to enjoy privacy from other hikers and truly experience the peace and serenity. Please carry enough drinking water for yourself, your dog(s), and your horse(s) when visiting the park. The park's water supply is not consistent and water may be unavailable. Bollinger Creek cuts through the park. Rocky Ridge lies to the western boundary of the Wilderness and is accessible from the parking lot by a paved road that takes hikers near the 2,024-foot summit. At the 1,760-foot elevation there is a trail managed by the East Bay Municipal Utility District to the Valle Vista Staging Area on Canyon Road in Moraga, or you can go south to the Chabot staging area in Castro Valley. A permit is required for hiking on EBMUD lands. Call 510-287-0459 for more information for what you need to hike in that area. The natural stone outcroppings on Rocky Ridge are beautifully sculpted by the wind and painted with many lichen species. You can spend an entire day hiking along the ridge and into the Devil's Hole area. Wildflowers abound in the spring and are especially beautiful after a rain. Chamise and Bollinger Creek Loop trails connect with Las Trampas Ridge which is east of Bollinger Creek. The view from the ridge is a panorama of the Ygnacio, San Ramon and Amador valleys, Mt. Diablo, Carquinez Straits and other vistas. Boots are recommended for hiking as the trail can be slippery. Hikers should use only signed trails that appear on the map; trails that do not appear on the map are not maintained by Regional Park staff, and some may be in a sensitive resource area. Bishop Ranch Regional Preserve is a peaceful and quiet park on 444 acres of land, just a short distance from San Ramon Valley subdivisions. You can spot animals such as deer, red-tailed hawks, and turkey vultures. The trails in Bishop Ranch are easy and suited for walking the dog or for easy walks. The park is located near I-680 and residential neighborhoods of San Ramon. There are three main multiuse trails, and one narrow path. See the trail map for Bishop Ranch Regional Preserve to choose the best trail for your hike. There is a great article from the Bay Area Hiker that gives you a detailed description of hiking in Bishop Ranch. The Hidden Valley Trail in Dougherty Valley joins the Tassajara Ridge Trail and offers hikers five miles of stunning views of Dougherty Valley and Tassajara Valley. This is the longest open space trail in San Ramon and is ideal for hikes, mountain bikes, and horseback riders. It is an earthen and concrete trail. The trail head for Tassajara Ridge Trail is off Windemere Parkway. The entrance to the Hidden Valley Trail is east of Piccadilly Square and Ivy Hill Way. Hidden Valley has many pleasant surprises for nature lovers, and is especially lovely in the spring when willdflowers are in full bloom. The Iron Horse Regional Trail runs between the cities of Concord and Dublin through San Ramon. It follows the Southern Pacific Railroad right-of-way established in 1891 which was abandoned decades later in 1977. It is a multiuse trail that when completed will cover the distance from Livermore in Alameda County to Suisun Bay in Contra Costa County, a total distance of 55 miles, connecting two counties, nine communities, and 12 cities. 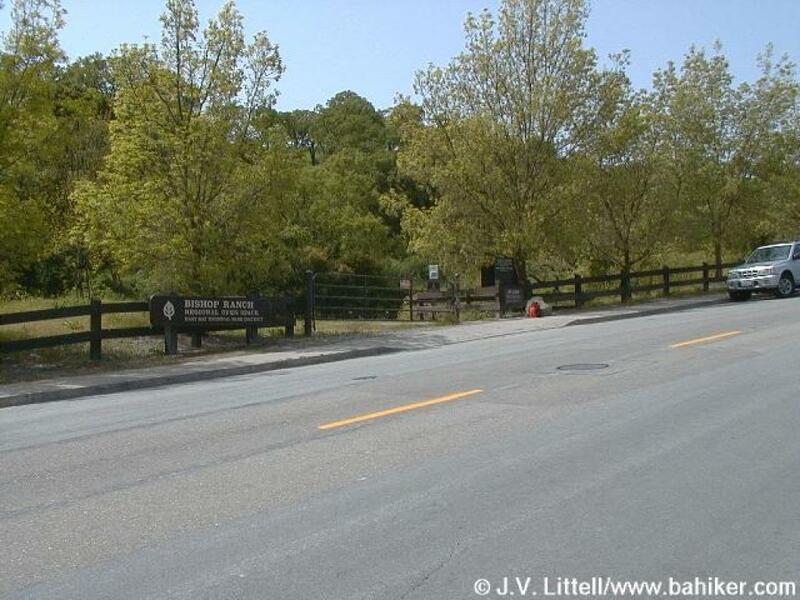 The trail is 20 feet wide and winds through residential and commercial areas, business parks, schools, public transportation (BART, County Connection), open space and parks, regional trails, and community facilities. You can get great views of the valley ridgeline and Mt. Diablo from the Trail. The developed portion of the Iron Horse Trail starts in Concord near Highway 4. The Trail runs south through Walnut Creek and crosses eastward under I-680 at Rudgear Road near a Park & Ride. The trail then passes through a rural/residential area and connects with downtown Alamo and the Alamo Square shopping center. Keep going south and follow the trail through a greenbelt of residential areas and into downtown Danville. It then goes across Danville Boulevard, and passes back under I-680, before continuing south past Pine Valley Road to the county line in San Ramon where it travels to the Dublin/Pleasanton BART. Iron Horse Trail is wheelchair accessible. The Trail is ideal for hiking, biking, horseback riding, and visitors are asked to stay to the right of the trail except when passing. Except for wheelchairs, no motor vehicles are permitted on the trail.